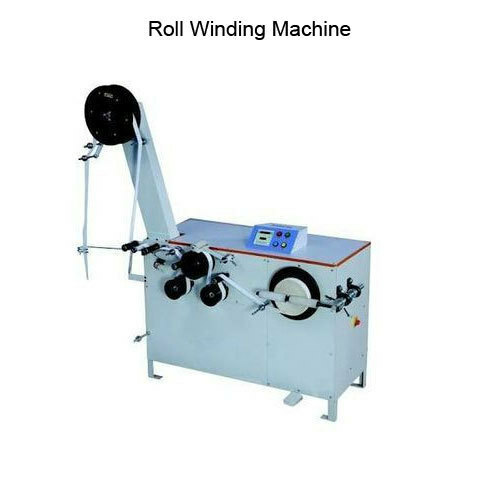 Being one of the trusted firms in the industry, we are highly engaged in providing a unique range of Roll Winding Machine. Founded in the year 2014, we “Shreeji Engineering Works” are a dependable and famous manufacturer of a broad range of Festooning Machine, Warping Machine, Winding Machine, etc. We provide these products in diverse specifications to attain the complete satisfaction of the clients. We are a Sole Proprietorship company which is located in Ahmedabad (Gujarat, India). We provide our products under the brand “SEW”. Under the supervision of “Mr. Aksh Oza” (Proprietor), we have gained huge clientele in our country. Shreeji Engineering Works is promoted by well experienced team of engineers having experience in textile machinery manufacturing. We provide complete solution for narrow fabric. Our machines are sturdy and have balanced design structure. The machines are supplied in different models. All general features like electromagnetic brake, auto stop motion for warp and weft, lock thread weaving systems are provided in our all models. Our standard supply includes system for warp supply through beams. Continuous development of our products is on-going process based on customer’s feedback and efforts of our R&D team. At Shreeji Engineering Works, we believe in exceeding customers demand in terms of quality, delivery and price. We always thrive for continuous improvement of our products and service. We maintain fare and harmonious relation with our employees and associates. We believe in making a long lasting association with our clients by providing the best quality products at cost effective prices. Owing to our revolutionary technology, reliable quality, reasonable price and state-of-the infrastructure, we have been able to cater to the precise needs of our esteemed clients in the most efficient manner. The premium quality of the offered range is never compromised at our end. In addition to this, we accept different modes of payment such as online, credit card and demand drafts. Vatva, G. I. D. C.